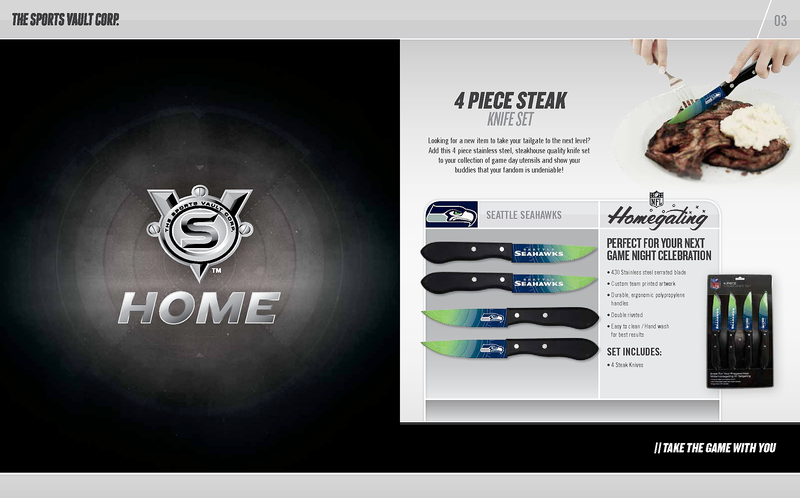 Soar like a Raven at your next game day barbecue, cookout, and every meal in between with the Baltimore Ravens Steak Knives Set of 4. As Nfl officially-licensed cutlery, each knife is embroidered with brilliant Baltimore Ravens artwork and team logos extending from the tip of the blade through to the handle. This set of knives have been dipped in surecoat to ensure they maintain their luster for as long as possible. The decorated blades are forged from durable and reliable stainless steel. Instead of having to worry about sharpening the blades, these knives are crafted with strong serrated edges. The handles are manufactured from polypropylene that is non-slip, soft-grip, and ergonomically sound. The blade is secured in the handle with two heavy-duty stainless steel rivets. All knives have been tested and passED the required safety and food testing. 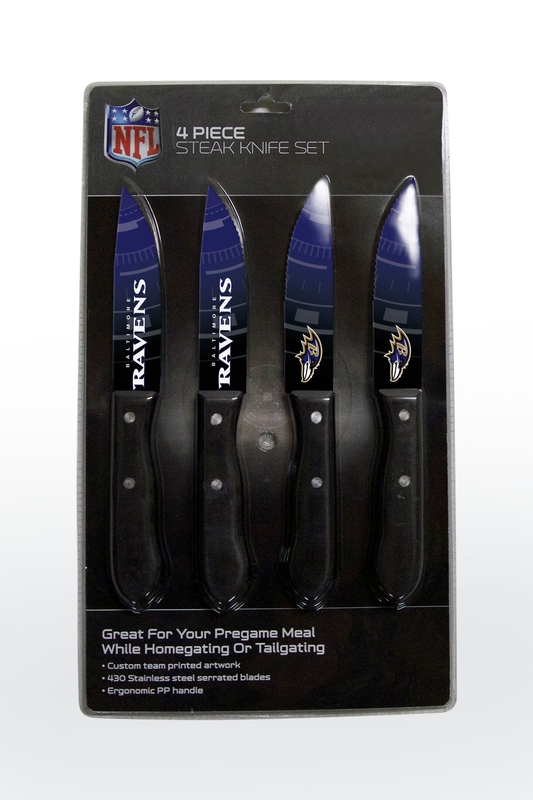 Baltimore Ravens Steak Knives Set of 4 today.